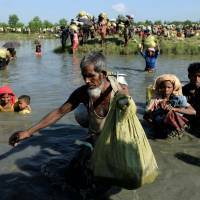 CANBERRA - The humanitarian crisis afflicting Myanmar’s Muslim Rohingya has damaged the country’s political stability and shattered its image as a country moving toward democracy. Moreover, it has tarnished the reputation of the government’s de facto leader, the Nobel Peace Prize laureate Aung San Suu Kyi; called into question the crisis-management credentials of ASEAN and the United Nations; and made a mockery of international institutions for conflict prevention. Suu Kyi, meanwhile, has failed to exercise any moral authority, sounding instead like an apologist when she insists that “a huge iceberg of misinformation” is “promoting the interest of the terrorists.” She is, no doubt, sandwiched between an autonomous military that retains complete control over the country’s security services and a Buddhist-majority population with deeply rooted anti-Muslim prejudices. But that predicament does not excuse her failure to condemn what is happening under her watch. To be sure, Suu Kyi’s government resents the idealistic but partisan statements often issued by Western leaders and U.N. representatives. Rohingya extremists have long-established links with foreign jihadists, including those of the Islamic State. Complicating the military’s position, ARSA is, according to the International Crisis Group, commanded by Saudi-based insurgents with extensive experience in guerrilla warfare. Few Westerners grasp the challenges faced by decision-makers in developing countries confronting extremism from insurgents and terrorists. It is precisely these concerns that have made it difficult for Myanmar to break the cycle of violence. Bangladesh and India have refused to resettle Rohingya refugees permanently, largely because they fear that jihadists could be among them. Indian intelligence agencies have linked ARSA to the Pakistani jihadist group Lashkar-e-Taiba. Similarly, China’s government has supported Myanmar’s efforts to protect its national security. As part of its Belt and Road Initiative, China is investing $7.3 billion in a port project in Rakhine, which may lead China to block any attempt in the U.N. Security Council to censure Myanmar for its actions. This tangled web of interests, coupled with the government’s failure, means that responsibility for protecting all of Myanmar’s people now falls to ASEAN or the U.N.
Once hostilities cease, the second step toward ensuring long-term peace will be the repatriation of refugees, which could prove to be a logistical nightmare. According to U.N. figures, at the end of September some 700,000 Rohingya refugees had crossed into Bangladesh, with more than half arriving since late August. And Myanmar’s military has mined the border with Bangladesh to stop them from returning. 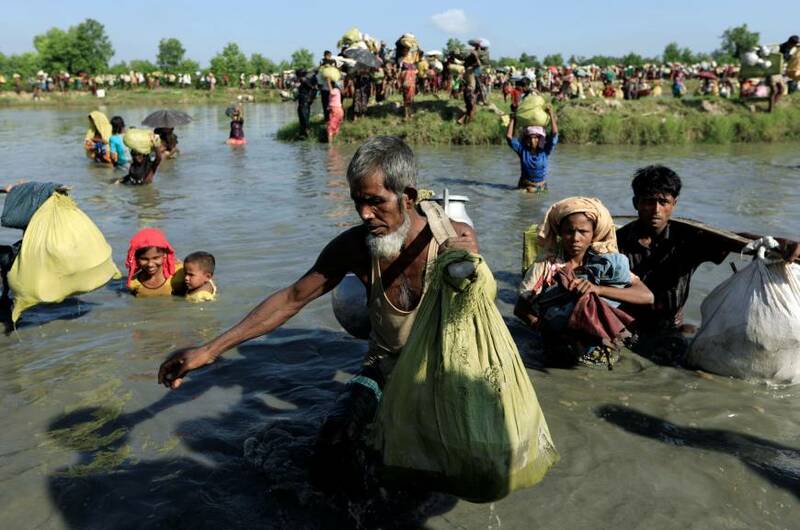 Assuming that the issues of violence and refugees can be addressed, Myanmar must grant international humanitarian access to the affected regions. ASEAN, which demonstrated its capabilities in the wake of Cyclone Nargis in 2008, is well positioned to take the lead in shaping a regional response. ASEAN could also coordinate with the U.N. in managing emergency personnel. The fourth step is to hold enablers of the atrocities accountable. Myanmar’s government must undertake — or permit ASEAN or the U.N. to do so on its behalf — an independent and impartial investigation into the killings, identify the perpetrators and subject them to transparent and credible prosecution. If this cannot be done domestically, the matter must be referred to the International Criminal Court. Finally, the government that Suu Kyi leads must repeal or amend all discriminatory laws and end official anti-Rohingya discrimination. With 1.1 million members, the Rohingya are one of the world’s largest stateless ethnic groups. Most came to Myanmar as part of the expansion of the British Empire, after the Burmese king was defeated in 1826, but are still considered to be illegal Bengali immigrants. The 1982 citizenship law did not recognize them as one of the country’s 135 ethnic groups, and they have severely limited access to health care, education and employment, in addition to facing restrictions on their freedom of movement. Myanmar’s democratic transition remains fragile, with civil-military relations, poverty, economic growth and governance competing for attention. But the cessation of hostilities and resolution of the Rohingya crisis must take precedence. The report issued in August by the Rakhine Advisory Commission, led by former U.N. Secretary-General Kofi Annan, offers one possible path forward. These five steps will not heal all wounds or end every grievance. But they can help ease the suffering by discouraging further atrocities, deterring violent extremism and improving border security. At the moment, this may be the best-possible outcome.